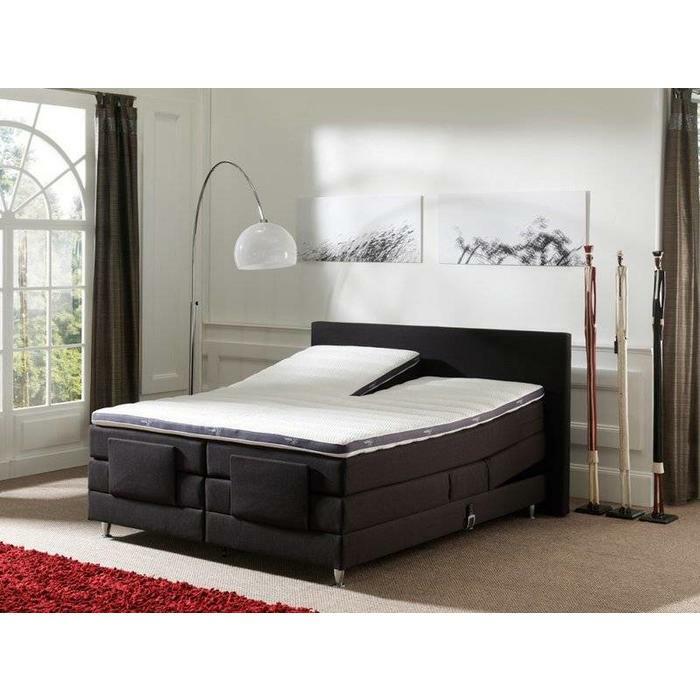 Box spring Velda 3D adjustable combines optimum body support with high quality materials for a good night rest. 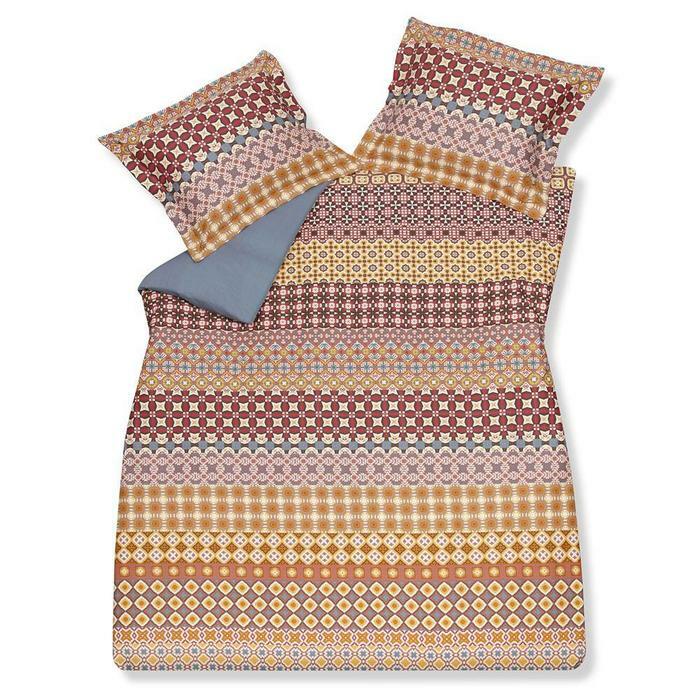 With pocket spring matresses and split topper. 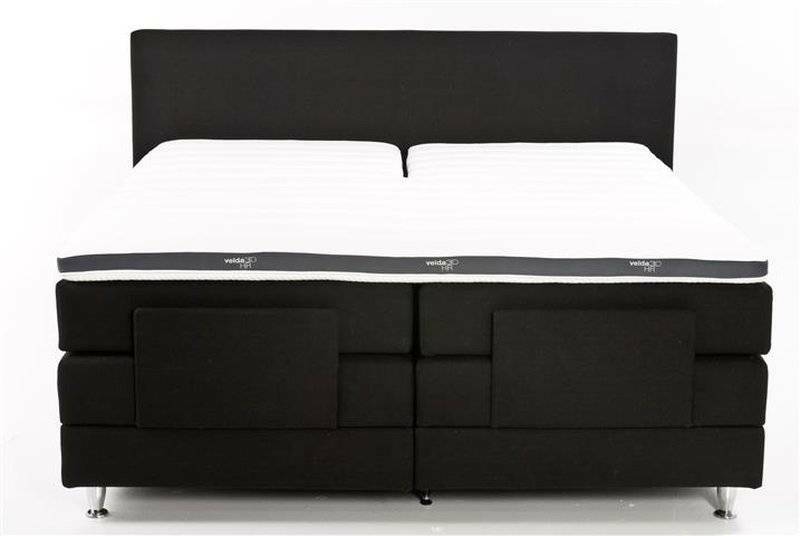 Velda 3D electrical box spring. 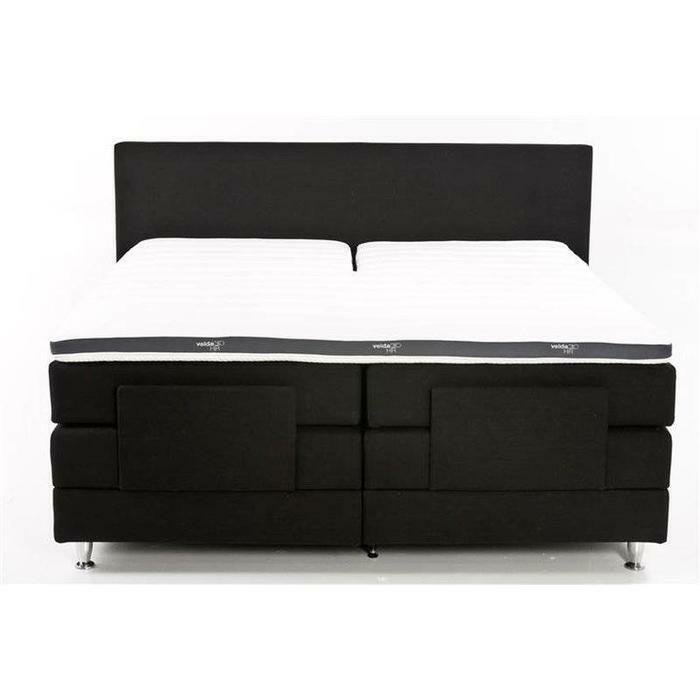 Velda 3d electric box spring is a boxspring with wireless remote. 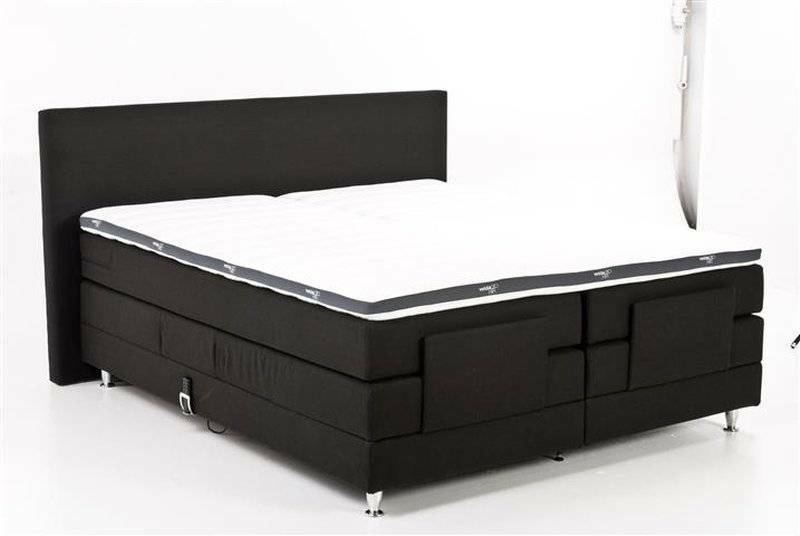 Fully adjustable with pocket-spring mattresses and split topper. 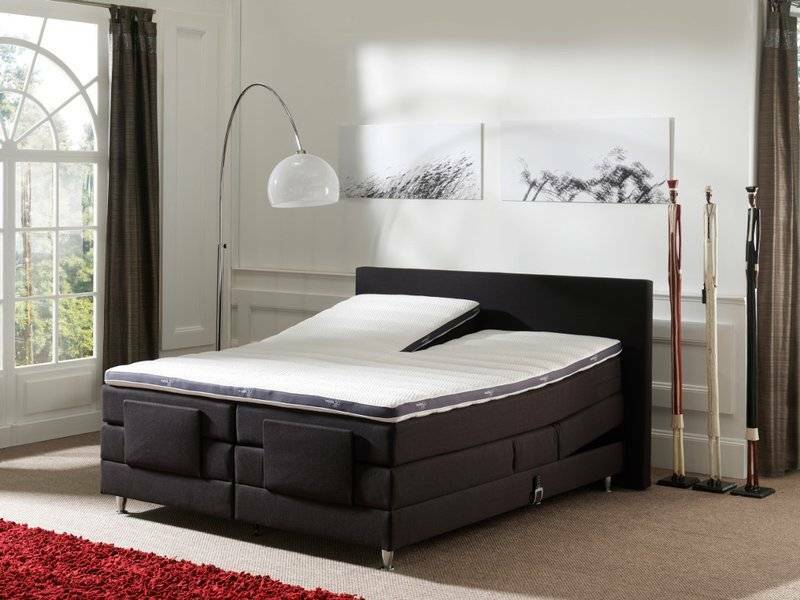 The Velda 3D combines optimum support with high quality materials so you will enjoy this bed for years. The looks of the box spring enhances the atmosphere in your bedroom. 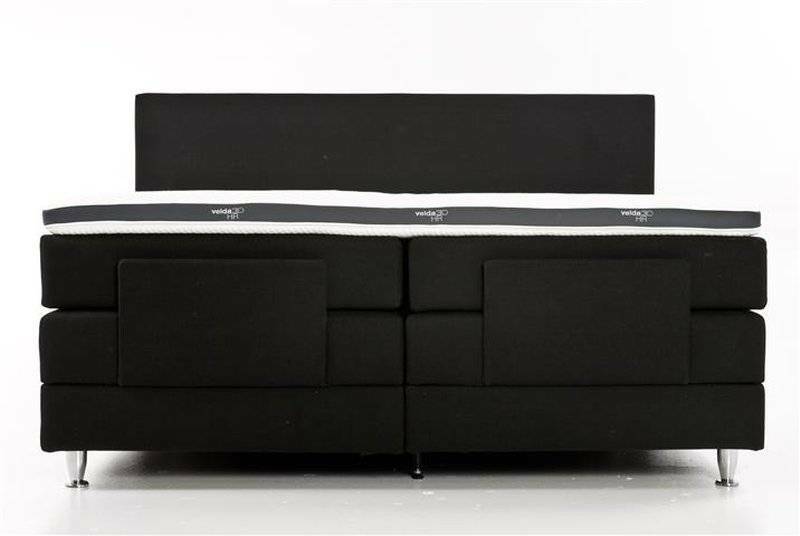 The headboard is 110 cm high and always sticks out 10 cm on both sides of the box spring. 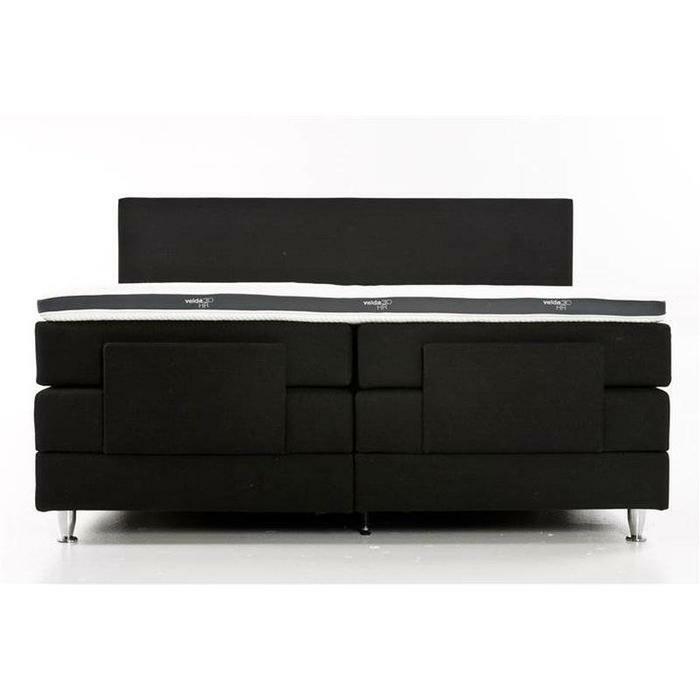 The electrically adjustable boxsprings have padded legs and RF remote control with holder. The pocket spring mattresses are upholstered. The split topper is made of standard HR. Choose from several leg types.